Cluster headaches and migraines both cause pain, but they are two different conditions. A cluster headache is a headache that occurs several times in a day, and it is short in length and very painful. Cluster headaches may only affect one side of the head and pain is usually felt around the eyes. Cluster headaches can occur at any time of day, but they typically occur or worsen in the fall or spring months (during seasonal changes). Cluster headaches can last for days or months and then go into remission so a person doesn’t experience them for quite some time. Cluster headaches affect one in every 1,000 people and occur in men more than women. A person who suffers from cluster headaches can experience them up to three times a day. A migraine can cause severe and intense head pain and symptoms such as nausea, vomiting, temporary vision loss, pain behind the eyes, sensitivity to light and sound, and pain in the temples. There are two types of migraine headache: migraine with aura and migraine without aura. Migraine with aura refers to sensations experienced with the onset of a migraine, such as feeling less mentally alert, seeing flashing lights or unusual lines, feeling tingling or numbness, and noticing unusual smells or tastes. The difference between cluster headaches and migraines is vast. For example, cluster headaches occur numerous times a day while a migraine headache is not a daily occurrence, and if it does occur, it strikes just once. 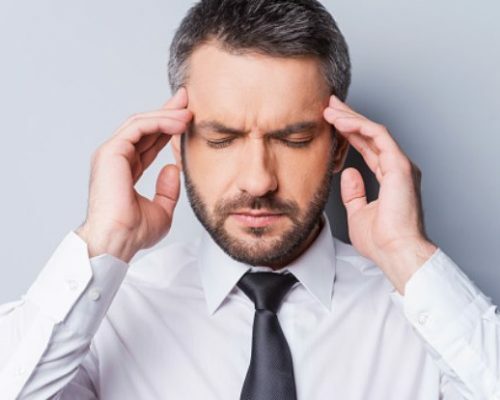 Both migraine and cluster headaches are mainly experienced on one side of the head; however, migraines can affect other senses, which is something cluster headaches do not do. The exact cause of cluster headaches is not fully understood. Some neurologists believe they occur due to greater activity in the hypothalamus, a part of the brain that controls temperature, hunger, and thirst. This area of the brain may also be responsible for widening blood vessels, which causes greater blood flow to the brain and can lead to headaches. Unfortunately, if this is the cause of cluster headaches, researchers are still unaware as to why the hypothalamus acts in this way. Although both forms of headaches sound similar, they feel and act differently. The following are some of the differences between cluster headache vs. migraine. Moderate to severe throbbing head pain. The use of over the counter medication for pain relief may be useful for some patients suffering from a mild migraine, but this is often insufficient when dealing with more serious cases. These drugs may not help those suffering from cluster headaches as they tend to be more severe in nature. More immediate treatment in severe cases of a migraine often includes the use of a class of medication called triptans. They can also be used in combination with over the counter medications such as ibuprofen for added benefit. Cluster headache patients also use triptans, but due to the high level of pain often suffered by those affected, the injection form is often utilized. Cluster headache patients also benefit from using a high-flow oxygen mask for about 10 minutes. Prevention is stressed for both forms of headaches, which often includes dietary and lifestyle changes. Also, some form of prescription medication may also be recommended for prevention.